With the existence of democracy and an uncountable number of gender equality policies, jobs that were previously male dominated have now seen an impressive increase I female presence. The most common of these are military and law enforcement jobs. Being exposed to all sorts of danger every day while out in the field means that both men and women require as much protection against the occupational hazards as possible. The most basic and more often than not mandatory form of body armor is the bulletproof jacket or bulletproof vest. There are, for strength levels available for bullet proof vests. The level you get to wear is usually determined by how much and how often the woman is exposed to life threatening situations involving firearms. Lower level strengths are usually given to women in the force, but who are not commonly out in the field where the danger is. The high level four is very common for women deployed to military war zones or police officers in dangerous neighborhoods and cities. The mechanism of action of a bulletproof vest is very easy to understand. They work in two ways. The first is by dispersing the energy of the incoming bullet. The force absorption capacity of material the body armor made of them. The second way in which it works is by deforming the slug and therefore hindering penetration and adding to the slowing down effect. 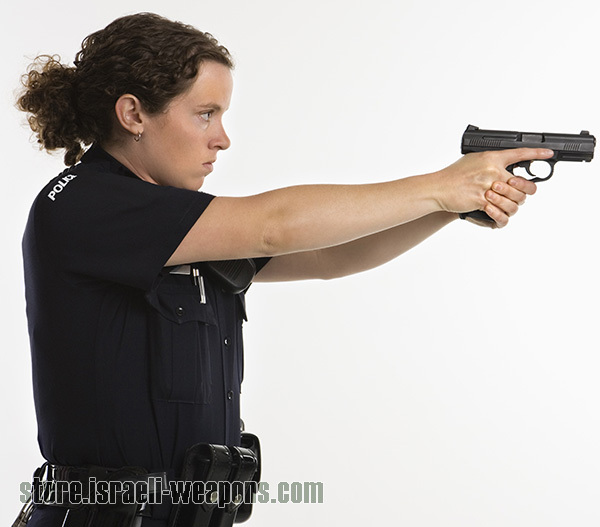 These two capabilities ensure that a woman is as safe as any male counterpart out in the field. It goes without saying that a bullet proof vest is extremely important for any woman. Bullet proof vests have one major con; this is the fact that they are heavy and tiresome especially in level 3A / IIIA. But considering the fact that they can save a person’s life, this is truly not a major issue. There are, however, a few companies that have taken it upon themselves to design lighter, but equally effective vests specifically for women.